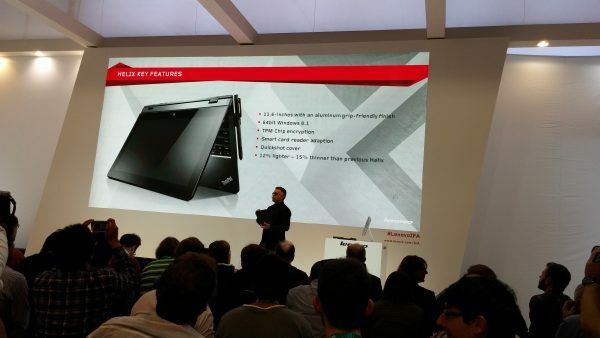 IFA2014: Lenovo have been very clear about the fact that the growth of PC is only on the way up. It is just in a very different way to the way we think it is. 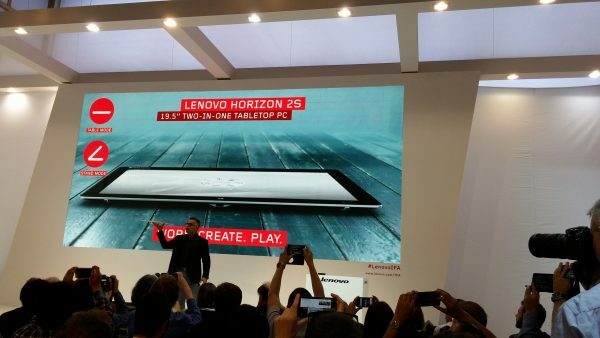 Lenovo though, are ready to show the world the way with their two new flagship products, the Horizon 2S, for the family, and the Helix. Weighing only 2.5 kg, this is a unique tablet that has been designed with the family in mind. It provides both a unique horizontal tablet top experience, as well as a desktop experience with a stand. You won’t be struggling for power either, as this will be available with i7 processors and up to 8GB of RAM, and 500GB SSHD. 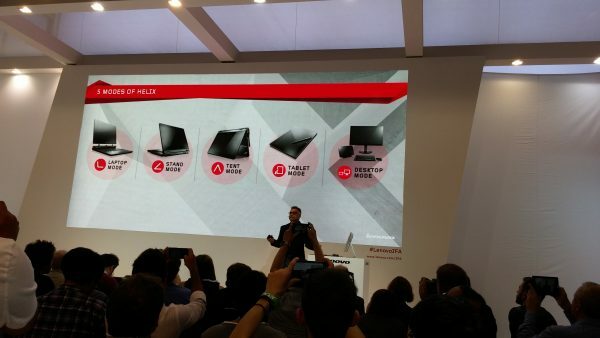 The screen will be Full HD, IPS 10-point touch display. This will be available from November, and start at 999 Euros. 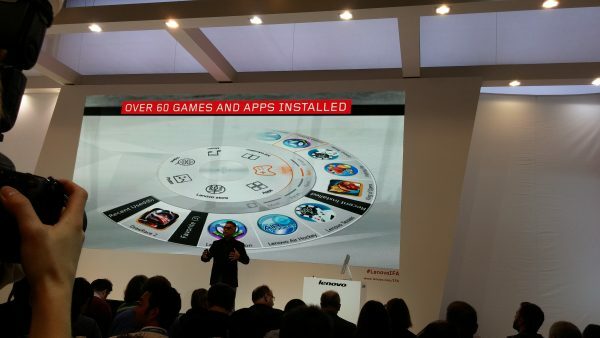 It will also come ready with 60 apps pre-installed, to enhance your experience. 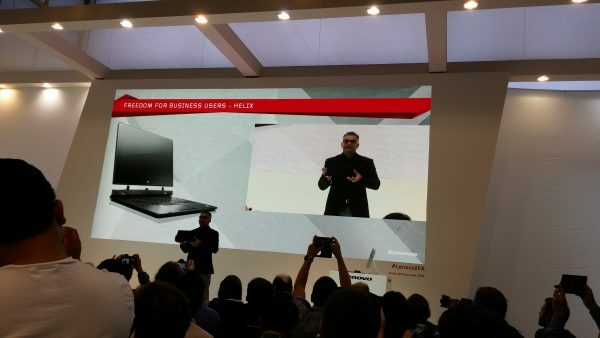 Helix is the device that is aimed at the businessman, and brings Lenovo’s already well established ThinkPad vision in a new format. The device will be able to show off Laptop mode, Stand Mode, Tent Mode, as well as Tablet Mode and Desktop Mode too, for when you want less volume, or more screen. 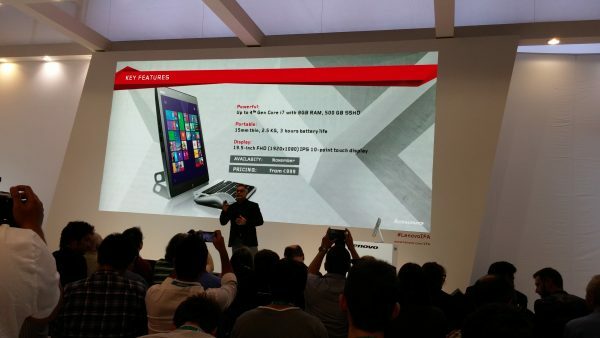 Weighing only 800gm, this will feature an 11.6 inch screen, the latest from Windows, and an extremely thin profile. I would like to thank Intel for making me an Intel Partner for IFA2014. This post is sponsored by them.